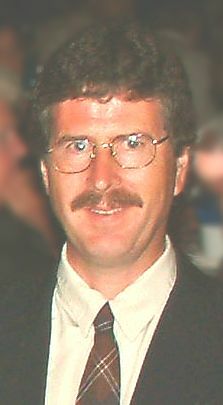 Marc Chisholm graduated from St. Francis Xavier University in business administration and from Dalhousie Law School in 1979. The following year he joined the Nova Scotia Department of the Attorney General as an Assistant Prosecuting Officer. He rose through the ranks and became Associate Deputy Director of Public Prosecutions in 1998. In December 2001, he was appointed Deputy Director of Public Prosecutions. In 2003, Marc was appointed a Judge of the Provincial Court of the Province of Nova Scotia. Marc has represented the Public Prosecution Service on national and provincial criminal justice committees. He has chaired the criminal section of the Nova Scotia Barrister’s Society Bar Admission Program and has planned and managed many projects. In 1997 Marc was appointed Queen’s Counsel. Marc teaches Criminal Trial Practice at Dalhousie Law School and has given presentations on criminal law to varied audiences, including law enforcement officers, child protection workers, and business and community groups. As Associate Deputy Director of Public Prosecutions, Marc has provided advice and assistance to the Head of the Public Prosecution Service on operational, personnel, budget, and policy issues. Members of the Clan Chisholm Society who attended the 2001 Gathering in Inverness remember Marc’s pleasant personality, friendliness, good looks, and golfing expertise. His many abilities are much appreciated by the Society in his role as Honorary Clan Counsel.